We are back from Miami and we couldn’t be more recharged! We loved the energy and the feeling of being in a city that never sleeps. I knew Miami was a party city, but I didn’t expect it to be such a lively, modern, hip and artsy place! I think I missed the feeling of being in a big city, with beautiful water view areas, hundreds of cool food and drinks spots, a Latin feel, amazing shopping and did we say, art? Yes, Miami has it all – and the weather couldn’t be more aligned with everything the city has to offer! 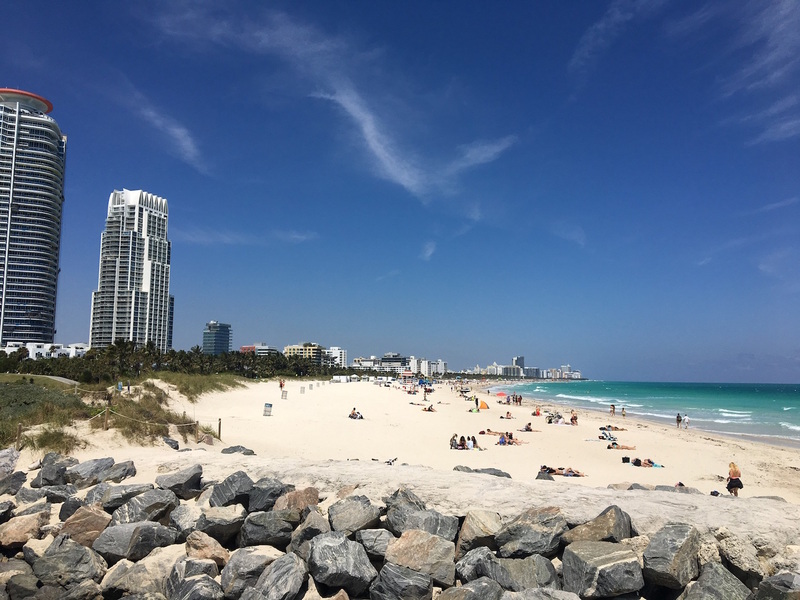 If you’re looking for a 3-5 day spring or off-season getaway Miami is a great choice that will leave you hungry for more! 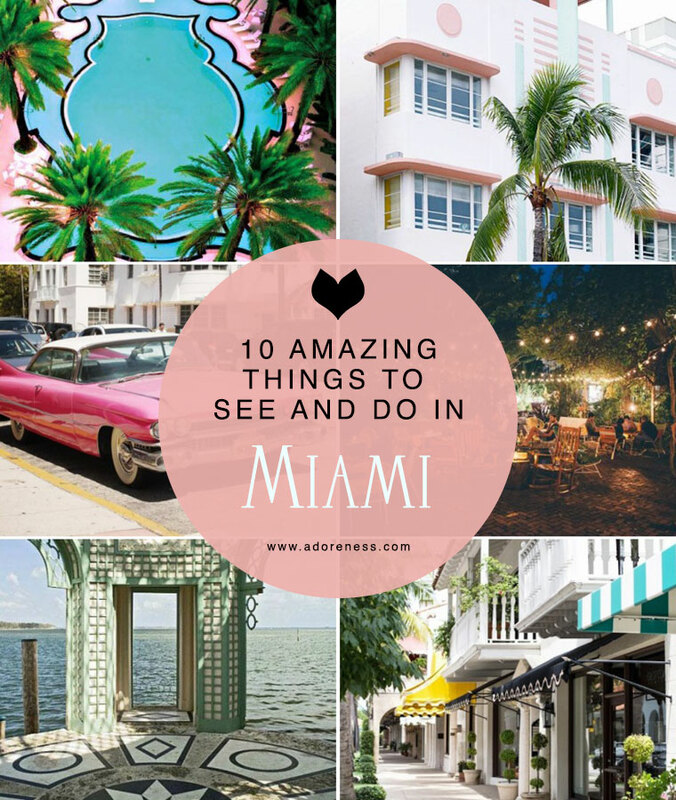 Here are the 10 Most amazing things to see and do in Miami! 1. Bike around South Beach Beach and art Deco hotel boardwalk. Miami has a bike sharing program too by CitiBikes, so you can explore that option too! 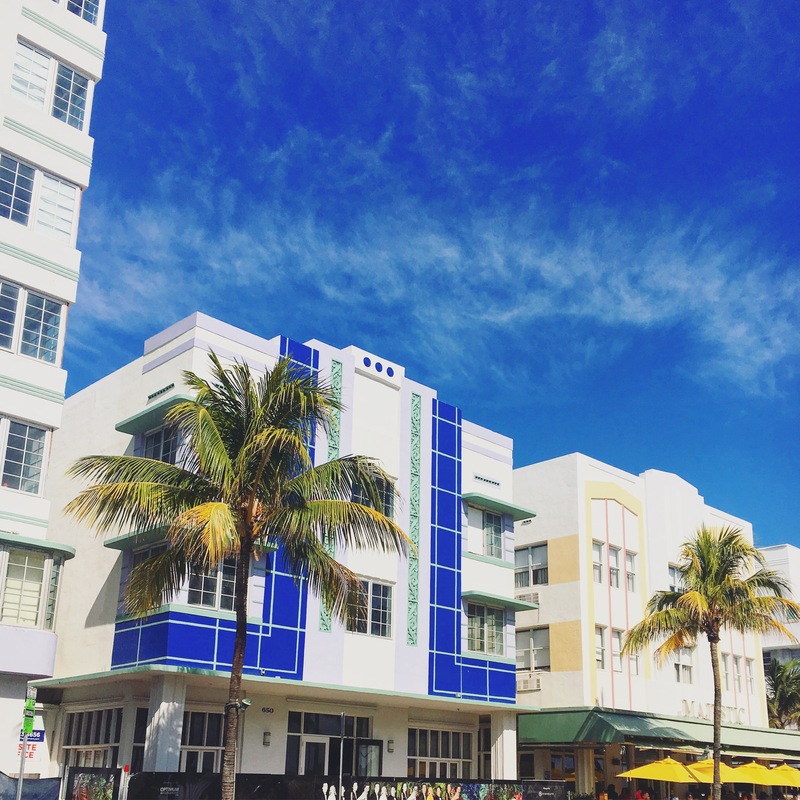 We biked from South Beach along the beach, Art Deco District one day. On another day, we biked through the Venetian Islands bridges up to Wynnwood Walls. 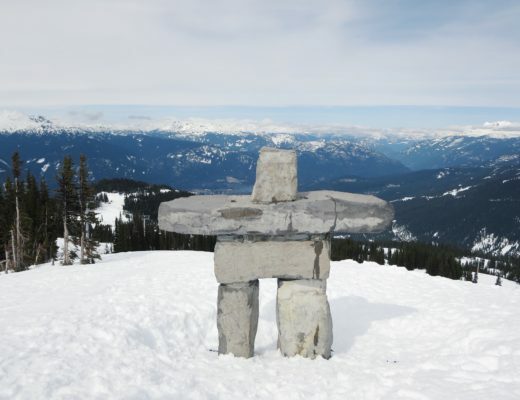 It’s a bit of a long way, so be prepared and carry some water with you and sunscreen! 2. 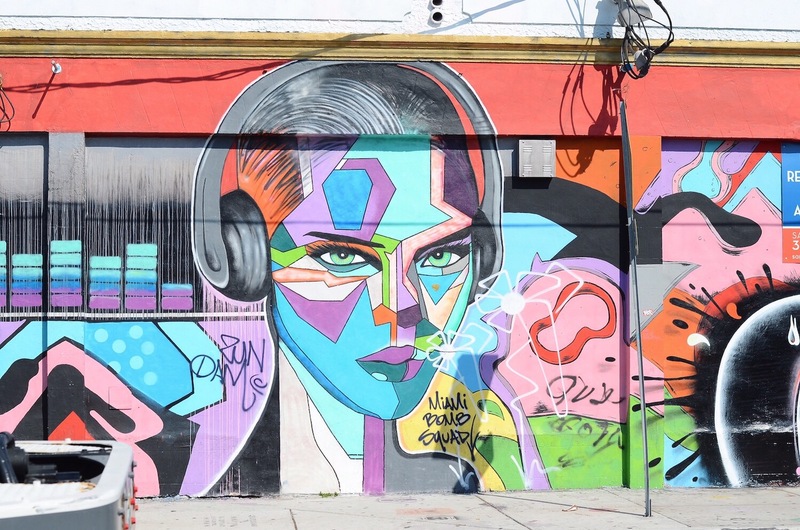 Go on an art tour and discover Wynnwood Walls. This mural outdoor museum created and entire neighborhood uprise changing the face of this place! 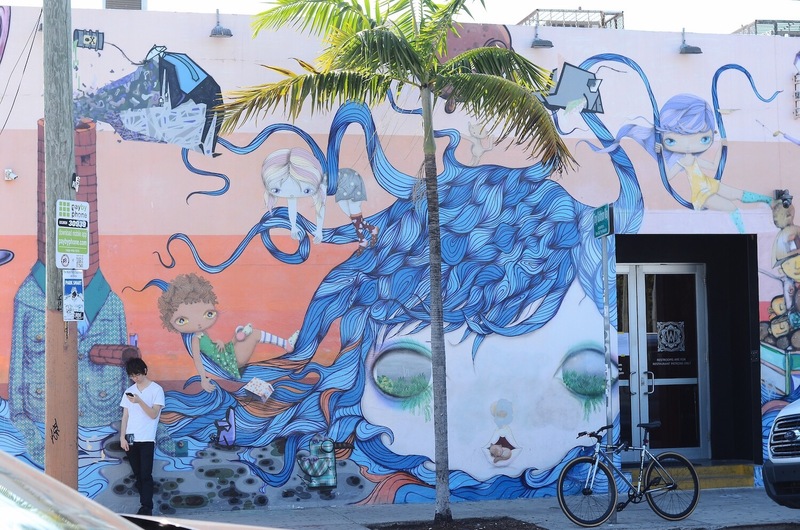 Lots of hip cafés, art galleries and boutiques spread across this 2-3 block art district. Entrance is free and it’s probably one of the must things to do when in Miami. Go during the day, wear a cool outfit and photograph yourself with the bright colored murals! They’re all very Instagram-worthy! 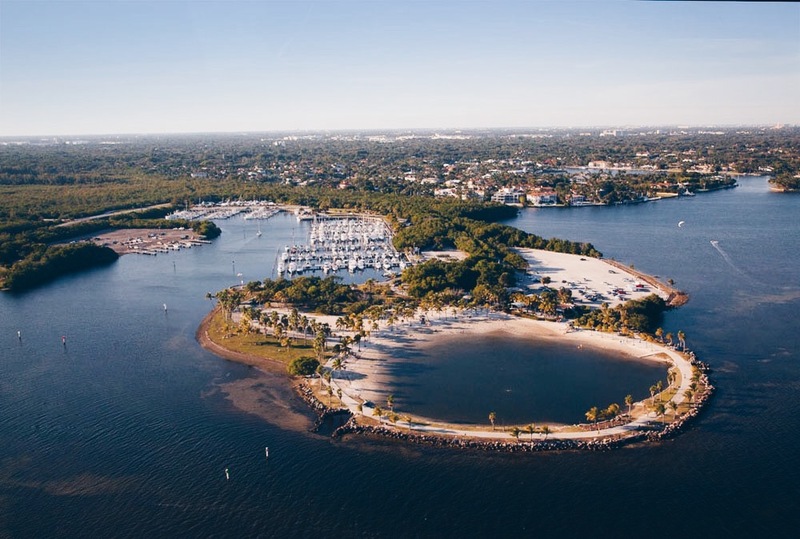 Head out of the city for the day on a short road trip to Fort Lauderdale and West Palm Beach. Stare at the most luxurious mansions priced at even $40 million! We loved visiting the Gumbo Limbo Sea Turtle Rescue center on the way to West Palm Beach. We also had fun exploring the center of West Palm Beach and window shopping at some of the best designer stores. 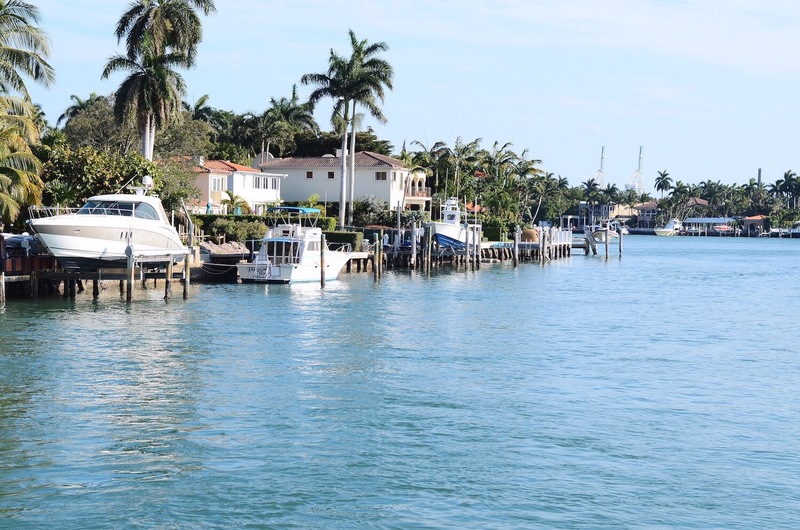 We loved discovering a different side of Miami. 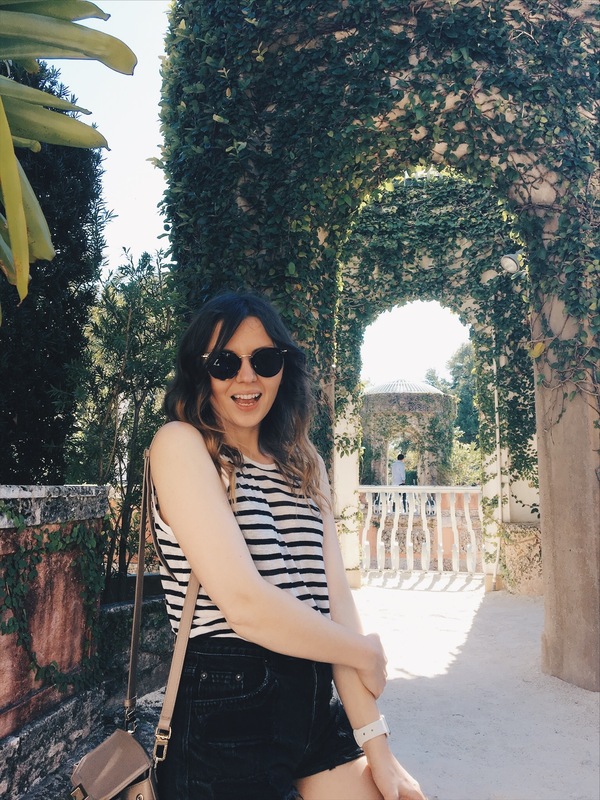 Head over to Vizcaya Museum and Gardens and experience a vintage mansion and lovely garden and estate right by the water. We also recommend checking out the Versace Mansion in South Beach for a taste of designer extravagance. When it comes to neighborhoods, we loved walking around Coral Gabbles and grabbing a snack in Little Havana. We fell in love with this picture we found on Pinterest and we decided to go check out this natural swimming pool created in a bay. I think it’s one of the coolest things to see in Miami and definitely a great way to spend an afternoon there tanning and going for a swim. 6. Get Drinks with a Twist! Get your Happy hour fix and drinks in style! If you’re into a hipster chill vibe, head over to the Broken Shaker in the Freehand hotel. 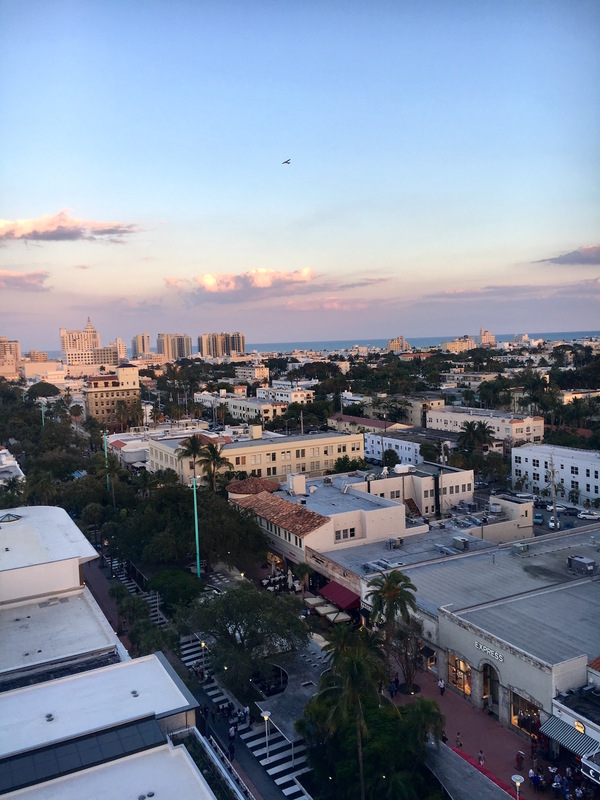 For a more posh feel, we loved the rooftop at Juvia in Lincoln Road. 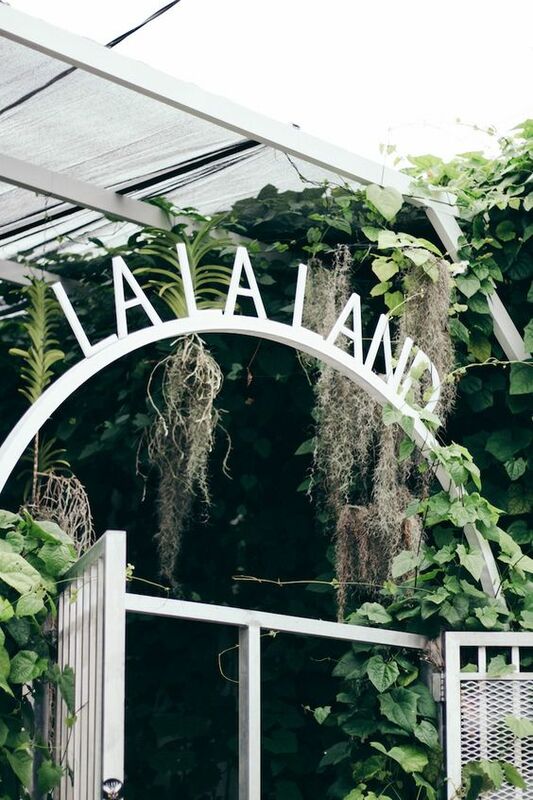 We also loved the Raleigh Pool Bar for their famous pool-side view and La La Land for mojitos in Wynnwood district. Explore some of the best nightlife spots in South Beach. We loved hanging out at Liv, Nikki Beach (more of a daytime spot), Wall Lounge in the W Hotel South Beach, or the FDR lounge in Delano hotel. 8. Beach time at Miami’s best beaches. They don’t call it Miami Beach for nothing! 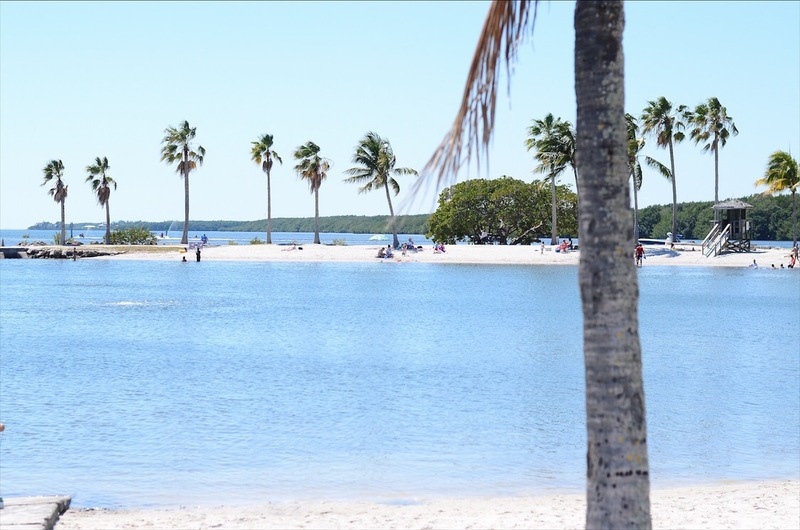 There are so many good beach spots to try in Miami and it’s surrounding areas. 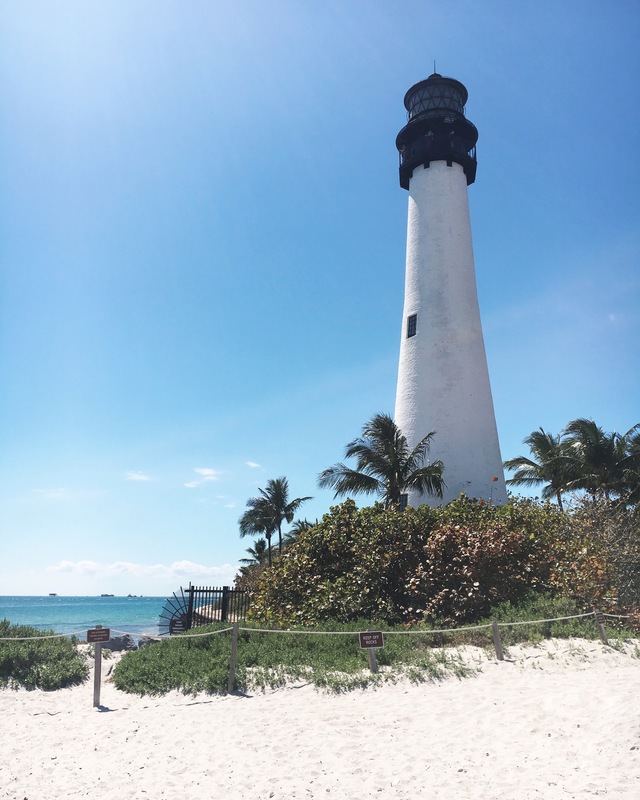 We really loved the beach close to Nikki Beach and the Cape Florida Lighthouse beach in Key Biscayne. 9. 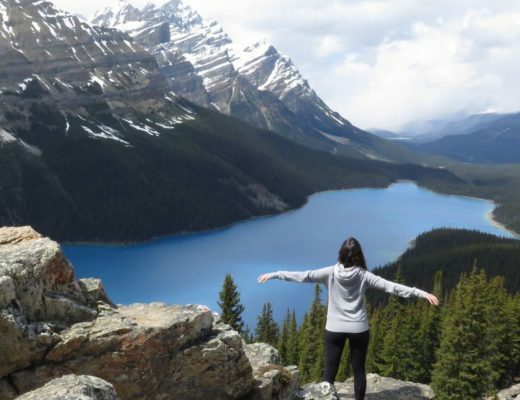 Indulge in some Foodie spots in town! 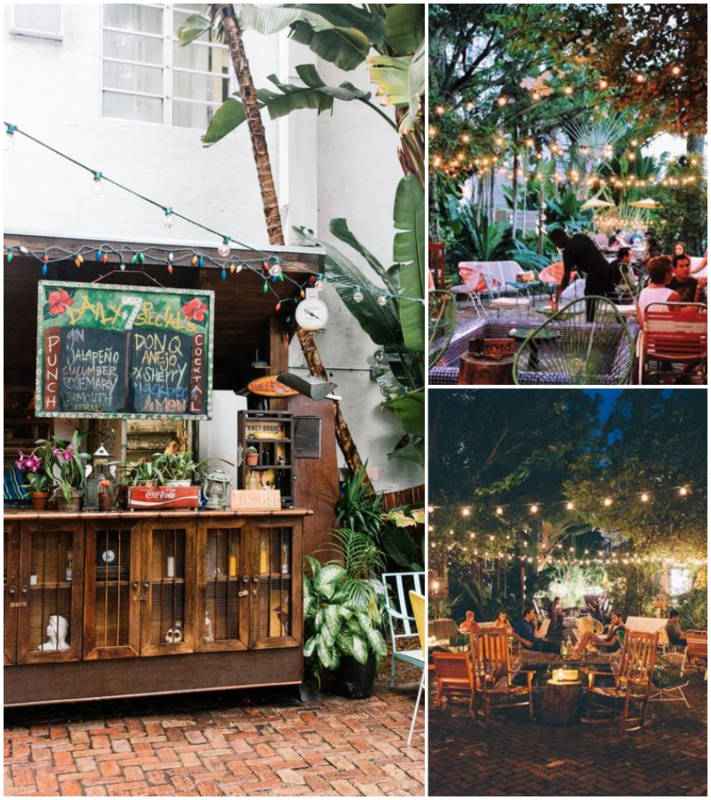 Food spots in Miami could fill up our entire blog! We loved grabbing a burger at Shake Shack. Stop for the best smoothies based on your mood at Dr. Smood, a really cool spot in Wynnwood. Grab a coffee at Panther or Warsaw Cafe. 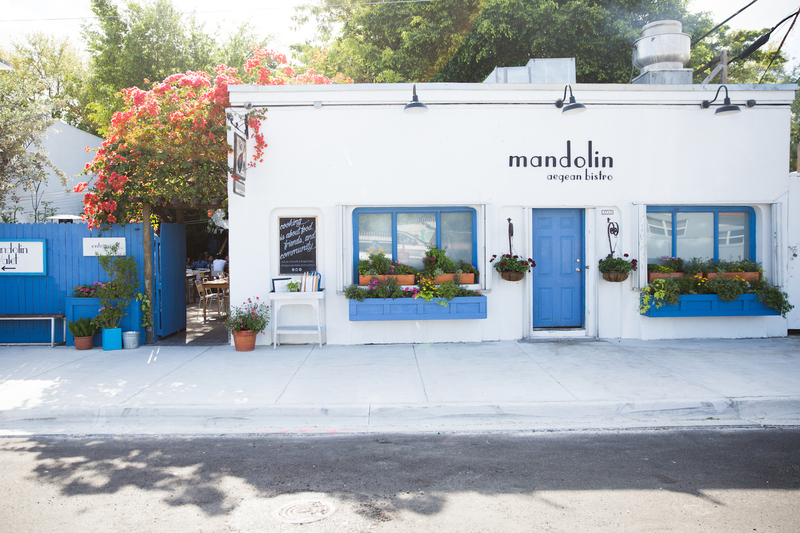 Satisfy your Mediterranean food craving at the fancy and cozy Mandolin Aegean Bistro. Indulge in the perfect brunch at Cecconi. 10. 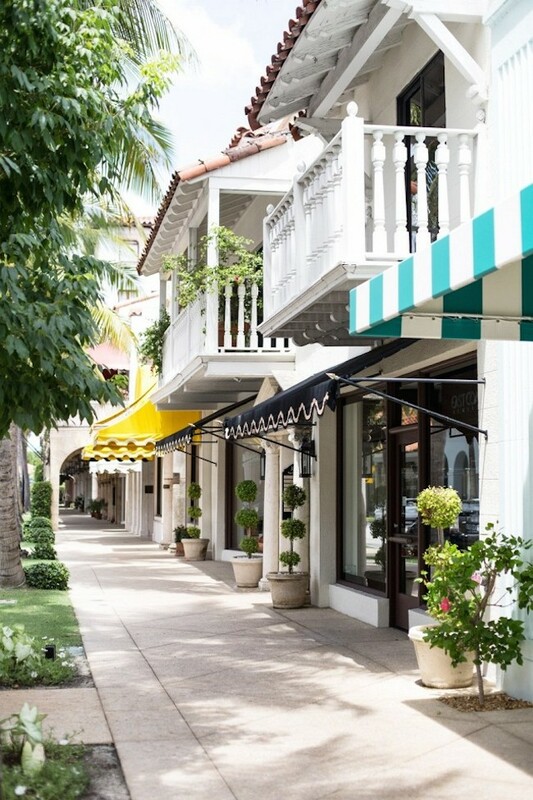 Shop your wishlist in Lincoln Road Mall and Miami Design District. The best malls in our opinion are outdoor malls and Miami has plenty of them. 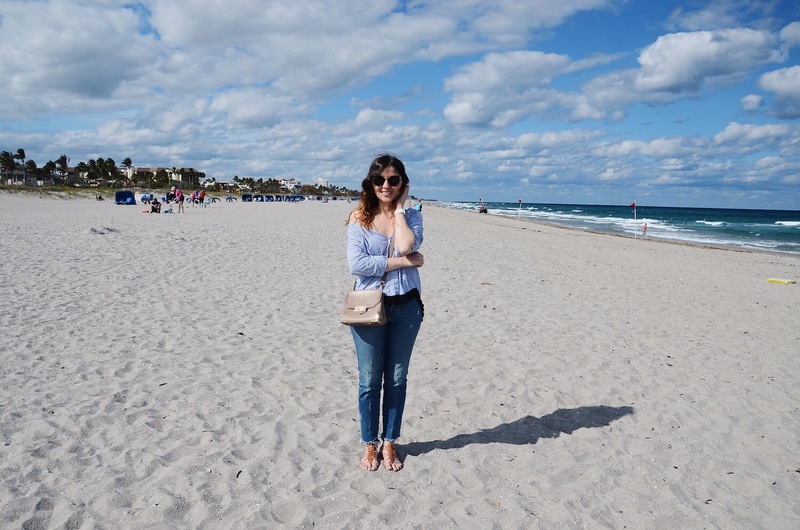 We loved walking around Lincoln Road Mall and exploring the posh Miami Design District. Last, but not least, we wanted to share with you the hotel we stayed at in Miami, Urbanica Meridian Hotel in South Beach. It was really an amazing hotel and it made us feel like home, plus it has free bikes, a cafe and a pool! Overall, this trip left us eager to discover more of Miami and we can’t wait to go back next year! If you have any other recommendations of great things to see and do in Miami, please leave us a comment down below! We’d love to hear from you! Looks amazing. Wish I could go! Such a vibrant and fun city. Would love to do it just for a weekend. Okay I am packing my bags!!!! Your pictures are so beautiful I feel like I am there already!!! Thanks for the great information I have always wanted to go to Miami I will bookmark/pin this so I know the hot spots are. The turtle rescue center and the Atoll are right up my alley. Love Miami!! The foodie in me just loves this post! Great insider tips!